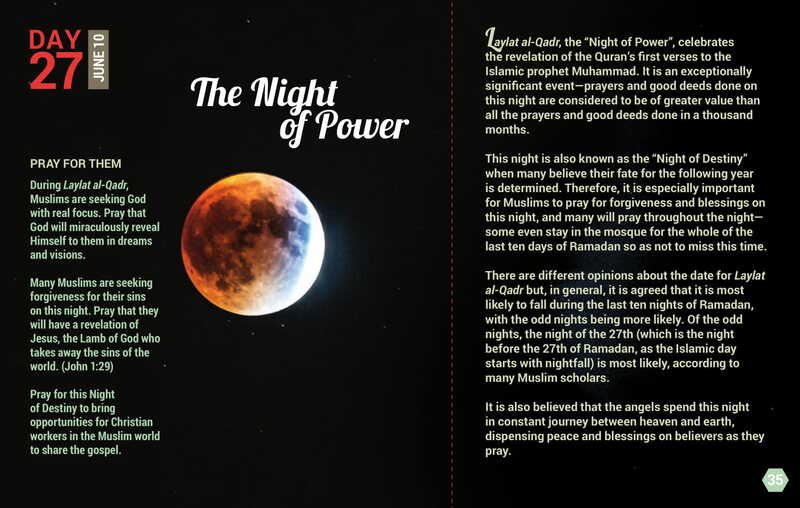 Laylat al-Qadr, the “Night of Power”, celebrates the revelation of the Quran’s first verses to the Islamic prophet Muhammad. It is an exceptionally significant event—prayers and good deeds done on this night are considered to be of greater value than all the prayers and good deeds done in a thousand months. This night is also known as the “Night of Destiny” when many believe their fate for the following year is determined. Therefore, it is especially important for Muslims to pray for forgiveness and blessings on this night, and many will pray throughout the night— some even stay in the mosque for the whole of the last ten days of Ramadan so as not to miss this time. There are different opinions about the date for Laylat al-Qadr but, in general, it is agreed that it is most likely to fall during the last ten nights of Ramadan, with the odd nights being more likely. 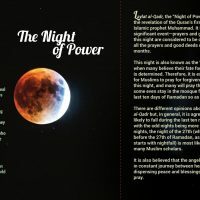 Of the odd nights, the night of the 27th (which is the night before the 27th of Ramadan, as the Islamic day starts with nightfall) is most likely, according to many Muslim scholars. It is also believed that the angels spend this night in a constant journey between heaven and earth, dispensing peace and blessings on believers as they pray. During Laylat al-Qadr, Muslims are seeking God with real focus. Pray that God will miraculously reveal Himself to them in dreams and visions. Pray for this Night of Destiny to bring opportunities for Christian workers in the Muslim world to share the gospel.